Want to Win Lawn of the Month? 2017 is almost over, and now is the time to begin thinking about resolutions and the fantastic year that 2018 will be. Has having the best lawn in the neighborhood ever been a goal for you? Well, it certainly is for some! 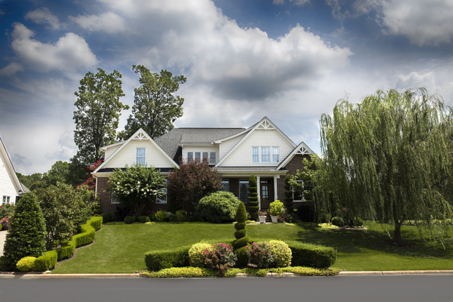 In fact, a beautiful, well-kept lawn is important for many in the US. It promotes a peaceful, beautiful environment for your home and helps to provide a high-quality aesthetic to the neighborhood. Want to begin the year on a great note .Get a jump start on lawn care by working with TurfPride, where we can provide the best lawn care services in the Atlanta, GA area. “The land is the only thing in the world worth working for, worth fighting for, worth dying for, because it’s the only thing that lasts…” We couldn’t have said it better ourselves. Here at TurfPride, we want to help you achieve a lawn worth fighting for! With our help, you could easily win that Lawn of the Month contest in your neighborhood – no competition! You see, we care about our relationships with our customers as much as we care about their lawns, and our mission is to grow both! We realize that with great knowledge comes great responsibility, and we are proud to apply that knowledge to help our clients achieve the lush, healthy, and green lawn they’ve been dreaming of. From weed control to fertilization to strategic lime application, TurfPride knows the the agronomic secrets of growing a healthy green lawn, and unlike most industry secrets, we can’t wait to share them! For existing customers, we’ll provide a 5% discount if you prepay for the 2018 Lawn Care Program by January! Don’t hesitate, get a jump start on your New Year’s Resolution and get the best lawn in the neighborhood in 2018.